The title says it all on this huge and fascinating release from the China Record Corporation. Famous Female Singers From Shanghai might be the most immediately compelling release we've listed from the label this week, although for better or worse there's less focus on tradition or classical Chinese music. Despite the considerable vintage of these recordings, the musical content itself could reasonably be described as 'modern', even taking cues from various musical movements popular in 20th century Western culture. For example, 'Rose, Rose I Love You' by Yao Li is very much in a Vaudevillean, music hall mode and 'The Evening Primrose' by Li Xianglan shares its rhythmic formula with a slow bossa nova. 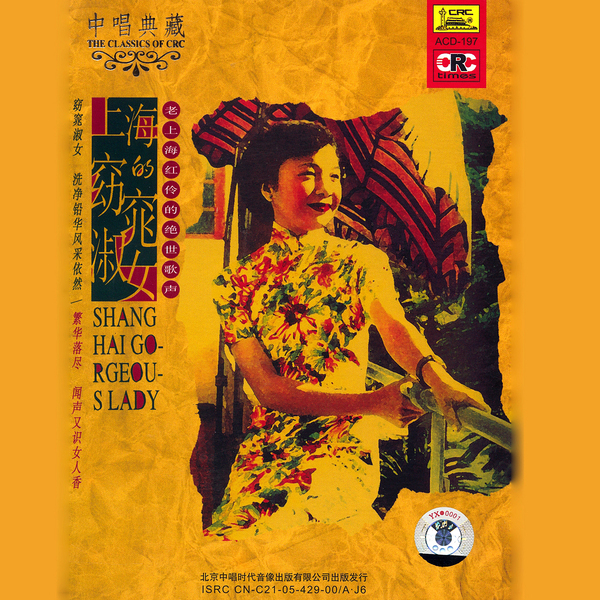 This compilation is as wonderful as it is accessible, and if you're a bit stuck when it comes to determining the best point of entry into the intimidatingly huge China Record Corporation discography, you could do a good deal worse than choose this as your first port of call. Highly recommended.